In May 1989, The Ohio State University Department of Physical Facilities proposed to hold the First Annual Conference for CADD users. The participating institutions in the first conference included the Big Ten family plus Iowa State, Notre Dame, and MIT. The meeting was billed as the Midwest Collegiate CADD Conference. The conference was received with such great enthusiasm that, during the second year, the number of participating colleges and universities expanded to include numerous other large universities. Dedicated to serve educational institutions establishing or enhancing CADD operations, the conference achieved the title, “National Collegiate CADD Conference” in 1993. To provide a solid support and financial structure for the growing conference, The National Collegiate CADD Conference, Inc. was incorporated by the NCCC Steering Committee members (past conference directors) in 1998 prior to the conference held at Stanford University that year. 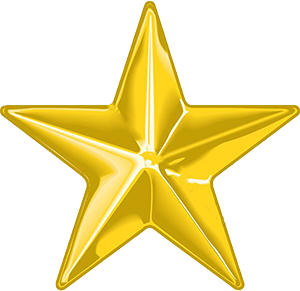 The NCCC, Inc. became a not-for-profit organization run completely by volunteers. The organization was led by an Executive Board consisting of directors chosen by the organization's Steering Committee (corporate members). Each year, that year's conference director was inducted as an additional member into the corporation's Steering Committee. As the conference continued to evolve, many discussions and presentations focused on the work of implementing geographical information systems (GIS) and computer-assisted facilities management systems (CAFM), as well as the use of modern technologies in managing emergency preparedness, work control, and preventive maintenance programs. The expanding use of web interfaces for performing facilities management, electronic document management, and other topics related to the use of current technology also were being addressed. Understanding developing technologies and evolving needs of NCCC constituents and to provide a more accurate description of the conference offerings, in August 2005, the Board of Directors for The National Collegiate CADD Conference, Inc. announced that future conferences would be known as the “National Collegiate FM Technology Conference” (NCFMTC). The first NCFMTC was held at the University of Missouri in Columbia, Missouri, in August of the following year. The 2006 conference broke all attendance records, and, for the first time, over 200 people attended. The 2007 conference was held at Massachusetts Institute of Technology in Cambridge. At the conference in Cambridge, the Steering Committee of the conference's parent organization, still registered as The National Collegiate CADD Conference, Inc., authorized the Executive Board and Officers of the Corporation to begin the legal process of reorganizing the Corporation into a professional association of dues paying members. The decision was based on the desire of the Board and the members of the Steering Committee to provide a more robust framework through which the organization could grow and obtain additional resources required for bringing more value to the institutions served by the organization. Starting in August of 2007 and continuing throughout the following year, even as work continued in organizing the 2008 conference held at the University of Southern California, the organization's leadership worked on the reorganization efforts. On April 1, 2008 the Corporate President announced that the Steering Committee had approved a resolution to change the name of the organization to “Campus FM Technology Association.” This renaming set the stage for rewriting the bylaws of CFTA to open up membership to not only all its historical constituents in higher education but to other institutions as well, who have interests in developing, managing, and using the tools of FM Technology in campus settings. On July 18, 2008 the Steering Committee approved a resolution to approve sweeping changes and adopt newly amended and rewritten bylaws. Also underway during this time was the development of a new web presence for the Association. 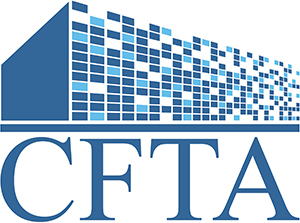 The new web site, billed as CFTA's "international office" was unveiled to constituents at the USC conference on August 19, 2008, when CFTA began its initial membership drive. In 2016, CFTA updated it's logo and website in an effort to further define its web presence. The new logo represents old and new facility architecture, with both the traditional dormer shape and modern engineering design. It also strives to illustrate the many pieces of information and technology innovations required for efficient management of today's campus facilities. Today, CFTA still offers support for CADD-related services, but it continues to expand its ability to serve as a facilitator to promote the use of many emerging technologies to meet the demanding needs of managing campus facilities in ways that go far beyond the design and construction of buildings and mapping of campuses. From its inception, the NCCC was founded to provide a structure for the exchange of ideas and information regarding the use of technology in managing the physical facilities of higher education institutions. Now, as CFTA, while the Association continues to place a high importance on the support of its constituents in higher education, Campus FM Technology Association continues to expand its service to a wider constituent base with many of the same needs as technologies continue to emerge and mature.